Purchase this product now and earn 90 NEXUSPoints! Soft white light with dual intensity settings. 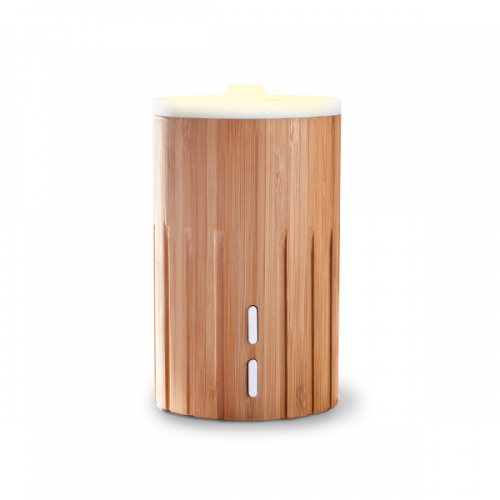 The Aroma-O’mm ultrasonic diffuser is created with ‘real bamboo’ It is perfect for anyone seeking a ‘natural eco’ feel whilst diffusing essential oils. It offers a simple, elegant and understated design, is clasical, and again will suite many spaces in home, office and spa environments. The white/warm yellow light at the top has two intensity settings.